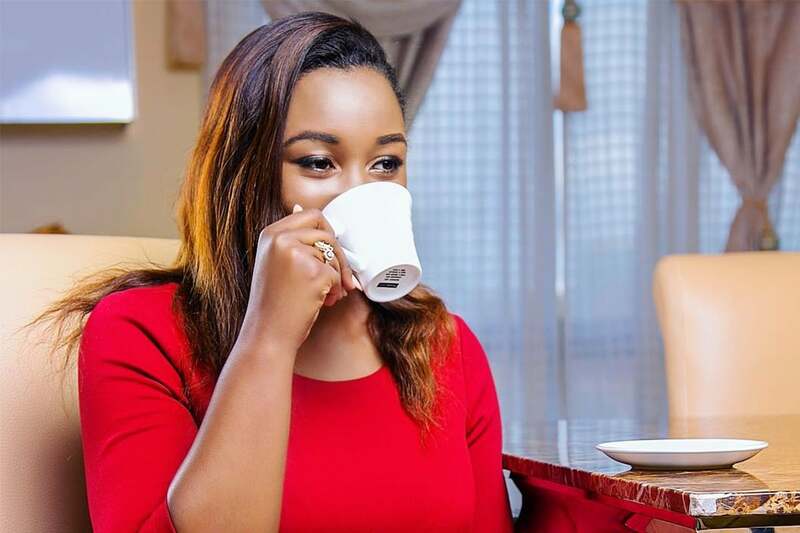 NTV’s investigative journalist Dennis Okari does not like the fact that his daughter with KTN Friday Briefing host Betty Kyallo, Ivanna is constantly in the preying eye of the public. Speaking to Nairobi News, Okari said that Ivanna has the right to grow up quietly and neither he nor her mother should stand in the way of that. “My daughter does not deserve the kind of publicity she has been getting, she deserves to grow up quietly and no one including myself as her father should interfere with her rights to privacy,” he said. But Kyallo who was previously involved with Mombasa Governor Ali Hassan Joho, laughed off her estranged husband’s sentiments on social media. Some things tickle me? eeeh my guy! Laleni tam? Mengine baadaye ? The two broke up after a six month long marriage in 2015. Speaking to True Love in 2017, Kyallo said that the NTV journalist did not fight for her and Ivanna when she decided to walk out of the marriage. “What disturbed me the most was that he had never fought for us -Ivanna and I. Even when I said I was leaving he said nothing. He did not fight for me to stay,” she told the magazine. Earlier on today, Okari revealed to Truth FM that he tried taking his life twice after his divorce from the FlairbyBetty Parlour owner. “I know people don’t know this, but I have tried to take my life twice. The first time I wanted to crash my car on a huge rock on my way from work. Miraculously, as I drove from work on the material night, I just could not trace the boulder, it had always been there, but I couldn’t trace it,” he divulged. The second time, he recounts, he planned on taking pills but fortunately had to work late. “The second time, I had planned to take an overdose of piriton tablets, about 12 of them, and sleep never to wake up. But as I came from work late in the night, I couldn’t figure where to get a chemist that late in the night. And somehow it escaped my mind that I could easily google it out. Likewise, I aborted the suicide mission,” he said. Okari is set to join the NTV anchoring team as well as write a book that will tell all about both his personal and professional lives. Even how we just placed our hands ☺️☺️ Same Same☺️ We played so hard and became too tired. We just sat there? ?